Dear Tucson, you may not realize it yet but you recently became infinitely cooler. I’m not making a cheeky comment about the temperature. I’m referring to the man they call Jack Palmer. 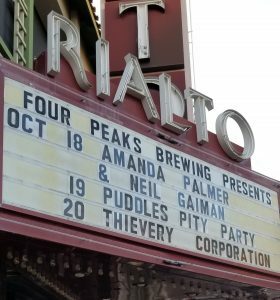 You may or may not know who Amanda Palmer is, but her Dad recently moved to Tucson. 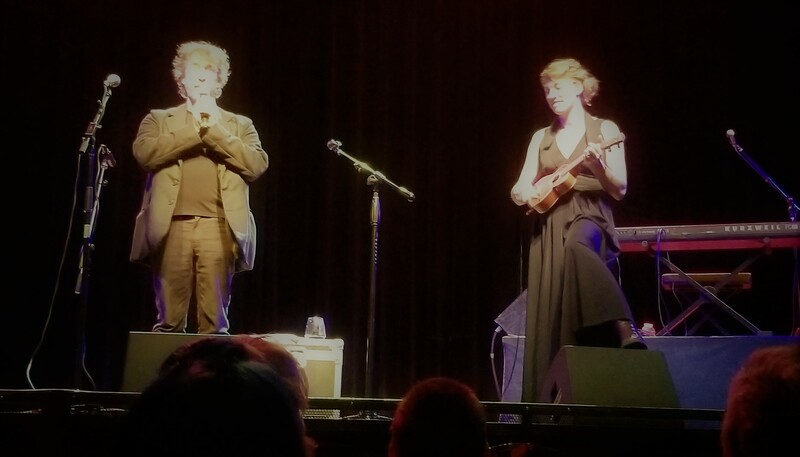 This spawned a family vacation, which led to a road trip to see An Evening With Amanda Palmer & Neil Gaiman, which led to an emotional event. Amanda Palmer is an American musician made famous by her band, The Dresden Dolls. Dubbed as “Punk Cabaret”, they broke through on the radio in 2003 with their song, “Coin-Operated Boy.” I swear they were after my own heart with their style. A flair for the dramatic and performance art authentically drew me in. Neil Gaiman needs no introduction to our fellow bibliophiles. Specifically, he is a best known for his comic series, The Sandman. In addition, novels such as Good Omens, Neverwhere, and Stardust. Admittedly, I have never read any of Gaiman’s adult novels, but I am an admirer of this children’s literature. While Jack recently settled into his new Tucson home, the family decided to all take a vacation. However, Amanda Palmer is a force to be reckoned with. She decided she would share her family vacation with us desert dwellers. I don’t know that Amanda and Neil knew how thirsty Arizona would be to see them together, live, and on stage. Every time one left the stage to introduce the other, they left with an encouraging statement and a sweet kiss on the cheek. If there are relationship goals, Amanda and Neil are it. Finally, Amanda brought out her father, Jack. Words cannot express the strong emotional response this invoked in the crowd. Together they sang Bob Dylan’s “The Times They Are A-Changin’”. The entire evening (about 2.5 hours) no one moved or spoke a word. We were in the moment. Nevertheless, it was something I’ve never experienced before. Everyone hung onto every last word. On behalf of fans in Arizona, I want to say thank you. Thank you, Neil and Amanda, for sharing such a warm and intimate evening with us. It is just what we needed. 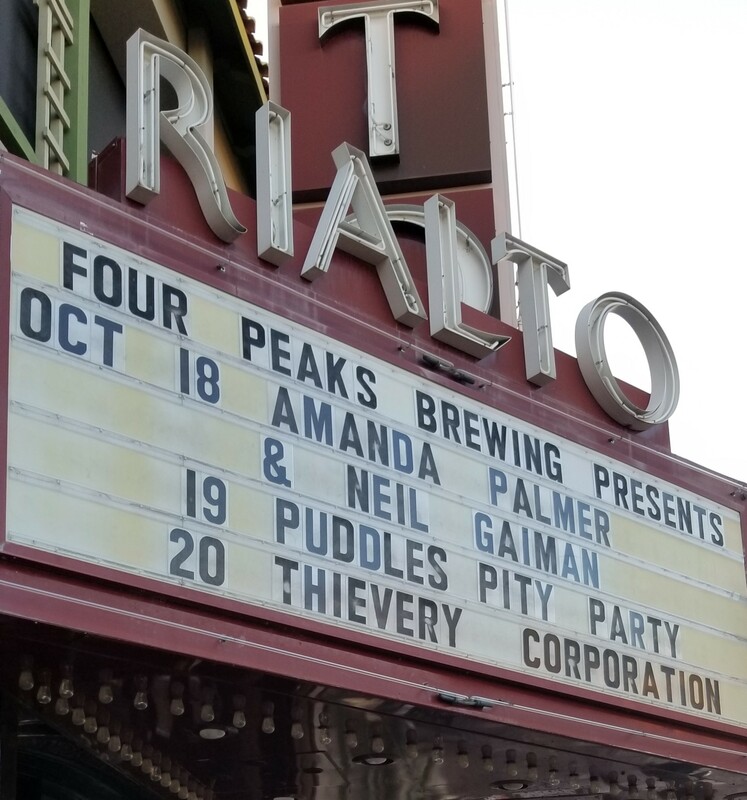 Oh, and anytime your favorite artist is performing at The Rialto Theater in Tucson, go. You will not regret it.